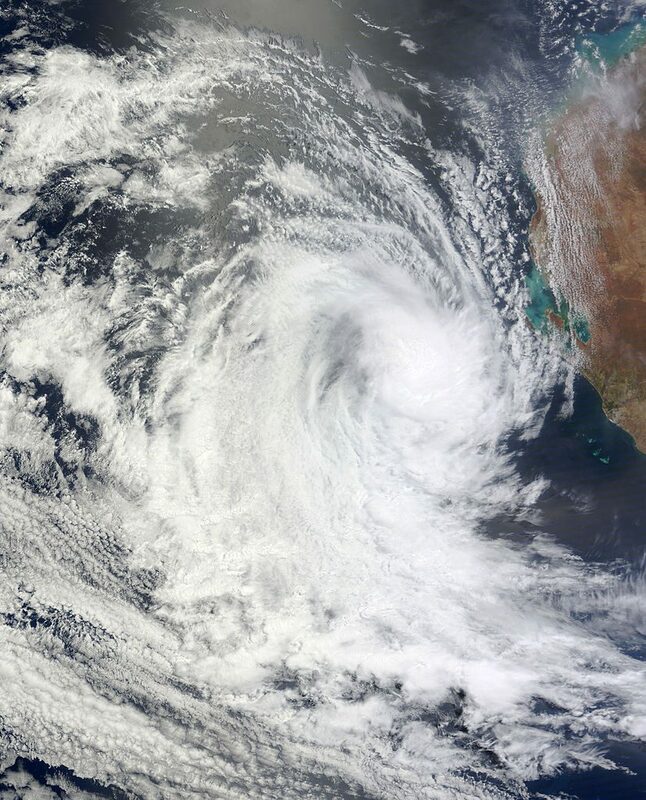 As if the giant fires fueled by record high temperatures weren’t enough, Australia is also being hit by Narelle – a tropical cyclone of significant proportions. The eye-catching photographs accompanying this story were captured by Brett Martin just before sunset on Wednesday afternoon, about 40-50 km off shore; they depict a “tropical squall line” and a “gust front ahead of a storm line”, the red tinge representing the dust Narella picked up on its road to the sea. According to mister Martin, before the line of the storm, the weather was crystal clear, but weather arrived, the swell lifted to two metres, winds increased to 40 knots and visibility was reduced to 100 metres.